This qualitative study engaged a group of engineering students in the use of interactive graphical and technological strategies called IGOs (interactive, graphic organisers) software in order to improve their level of EFL reading comprehension. The learners were asked to use three different types of IGOs, causes and effects, a sequence of events and pros and cons. Data was gathered through an opinion’s survey with the intention of collecting and evaluating the students’ perceptions on the use of the IGOs software. Findings revealed that most of the learners answered positively. Students also expressed they wanted more opportunities to use this software; because they not only could improve their scores but also, they enjoyed the experience they had using the new strategies software. Beyer, B. (1987). Practical strategies for the teaching of thinking. Boston. Allyn and Bacon, Inc.
Chang, K., Sung, Y. and Chen, I. (2002). The effect of concept mapping to enhance text comprehension and summarization. The Journal of Experimental Education, 71(1), 5-23. Gallavan, N. and Kottler, E. (2007). Eight Types of Graphic Organizers for Empowering Social Studies Students and Teachers. The Social Studies. Gallavan MJ, (pp.117-128). Grabe, W. (2009). Reading in a second language. Moving from theory and practice. New York: Cambridge University Press. Jiang, X. and Grabe, W. (2007). Graphic organizers in reading Instruction. Reading in a Foreign Language, 19(1), 1-24. Kim, A., Vaughn, S., Wanzek, J. and Wei, S. (2004). Graphic organizers and their effects on the reading comprehension of students with LD: A synthesis of research. The Journal of Learning Disabilities, 37(2), 105-118. Lems, K., Miller and Soro T. (2009). 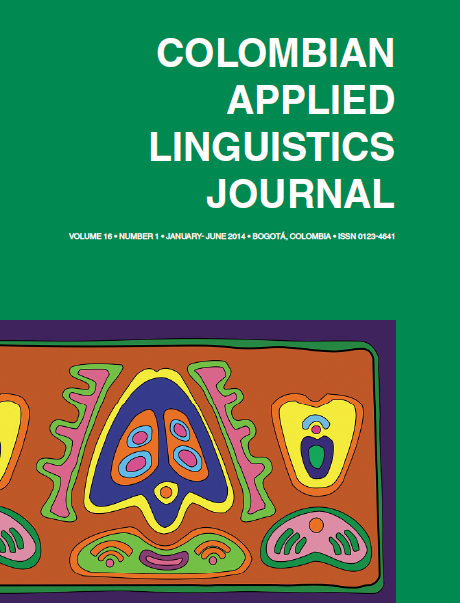 Teaching reading to English language learners: insights from linguistics. (pp. 170-189). New York: Guilford. López, M., Ponce, H. and Quezada R. (2010, June). Use of interactive graphic organisers for dveloping cognitive skills in higher education. International Journal of Digital Society, 1(2), 67-75. Lowerison, G., Sclater, J., Schmid, R. and Abrami, P. (2004). Student perceived effectiveness of computer technology use in post-secondary classrooms. Computers & Education. 47, 465-489. McKay, S. Teaching English as an international language: the Chilean context. ELT Journal, 57(2), 139-148. Mikulecky, B. (2011). (2nd Ed.) A short course in teaching reading. (pp.39-46). White Plains: Pearson and Longman. Polselli, A. and Snow, C. (2003). Rethinking reading comprehension. New York: Guildford Publications, Inc.
Ponce, H., López, M., Labra, J. (2008). Organizadores Gráficos Interactivos. En Farias, M y Oblinovic, K. (eds.) Aprendizaje Multimodal – Multimodal Learning. Publicaciones Facultad Humanidades, USACH. Ponce, H., López, M. and Mayer, R. (2012). Instructional effectiveness of a computer-supported program for teaching reading comprehension strategies. Computers & Education. Robinson, D. & Kiewra, K. (1995). Visual argument: graphic organisers are superior to outlines in improving learning from text. Journal of Educational Psychology, 87 (3), 455-467. Tang G. (1992). The effect of graphic representation of knowledge structures on ESL reading comprehension. Studies in second language acquisition. Cambridge Journal, 14 (2), 177-195. The journal allow the author(s) to hold the copyright without restrictions. Also, The Colombian Apllied Linguistics Journal will allow the author(s) to retain publishing rights without restrictions.